Update: The Wayne County Medical Examiner’s Office has ruled the little girl that was found dead in an abandoned house fire died due to asphyxiation. DNA results will take a few days. An Amber Alert has been issued for missing 5-year-old Mariha Trenice Smith, Sunday and a body has been found in a house fire a few blocks away, matching Mariha’s description..
“The way I’m looking at it is, someone climbed through the window and took my daughter,” Konesha Smith, 24, said. Mariha was sleeping on the living room floor of her aunt’s home near West Davison and Dexter, with her three other cousins. Her mother said somewhere between 3:00 a.m. and noon on Sunday, her daughter went missing. She didn’t realize she was gone, because she thought she was in the other room with her cousins watching cartoons. The Detroit Fire Dept. was called to a fire at an abandon home on 2917 Waverly street and investigator said that there is a body matching Mariha’s description inside the house. Authorities said, until they have dental confirmation, they will continued to search for Mariha. They also stated that there will be lie detector tests given to rule out suspects. 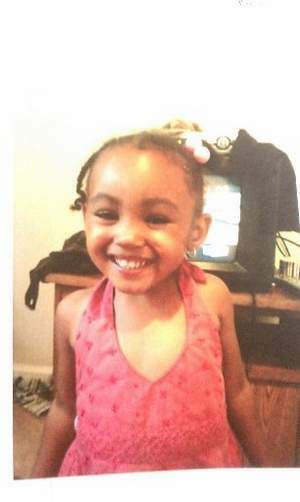 Mariha is 2’5″ tall, 26 pounds, dark eyes, black hair and wearing a black t-shirt with pink flowers and blue jeans. If you have any information, please call the Detroit Police at 313-596-5900. That is really sad. I really hope shes still alive. I'm Very very disappointed in the mother of Mariha. Why is the little girl sleeping on the living room floor she should be safe in her room in a bed. Parents are so careless when it comes to children. I mean if there were other kids in the area where she was, you mean to tell me no one saw what happen. If you fall a sleep you would hear someone walking around let alone breaking in threw the window. it just seems very weird to me. How many Casey Anthony's do we need in the world. I believe they were having a sleep over at the Aunt's house, and all the cousins were sleeping on the floor, but I did hear that the mother was sleeping on the couch. BUT, the window was behind her, so anyone coming in, would have had to crawl over her. Nothing was said about the front door. I am assuming they mean the window was unlocked. Let me start by saying my prayers go out to the mom and Mariha family at this time. Everyone is sincerly moved and davastated that this has happen to such a young innocent child. Secondly a person has to be completely heartless to take a life of a child let alone hurt a child period. Please let's not take this time and bash this mother of her parenting as she is at a lost, as stated in the article this child was sleeping on the floor with OTHER children, I'm sure she has a bed. Rite I'm sending my prayers to Konesha and her family and hoping that Mariha is returned to the arms of her loved ones safe and alive. If this body that has been found is not Mariha, i pray that, that child family be strong thru their lost as well. How do you not notice your child is missing until noon? I must say that I was so hurt when I first heard this news. Though I don't know the family of this precious angel, I know they are DEVASTATED! This world is so messed up!!! You can't afford to make one false move (especially when it comes to your kids). As a mother, I am heart broken that this happened to her. However, I do feel like if they were having a house party and drinking, the kids shouldntve been there as alcohol does make u less aware of things. I believe that the mf'er that did it raped her too because why would he have to burn her unless he was trying to destroy DNA? So sad…she was so beautiful. R.I.P lil Mariha and I pray that God holds Ms. Konesha through this awful storm.